The best countertop microwaves on the market are so convenient and make it quick and easy to reheat or cook some of your most favorite meals. 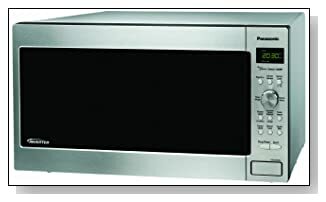 These microwaves are regarded as such because they offer good features and built quality and at a reasonable price. Currently Panasonic seem to have a lot of great models available. They also cook evenly and perfectly. Many customers have commented that the panasonics seem to heat up their food very quickly and this is the benefit of the inverter technology as mentioned above. 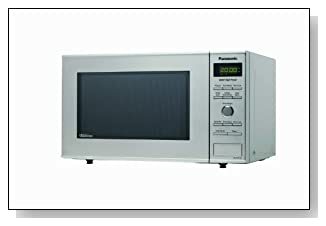 If your looking for a big microwave then go for the models that are over 1.5 cubic feet in size. Panasonic have a model that is 2.2 cubic feet if you need a really big oven for your kitchen. The smaller top rated microwaves tend to be under 1.0 cubic feet or less, with the compact microwaves being around 0.8 cubic feet. So if your lacking in space those are probably better to go for rather than a countertop unit. 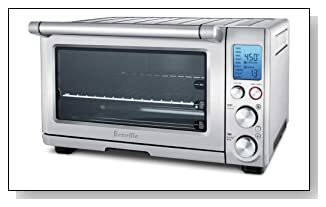 The microwave is one of those gadgets that we just expect to work so if your looking for a new one you want the highest rated countertop microwave oven that you can get. But what is the best one for home use? The best microwave to buy is one that fits in with your lifestyle. 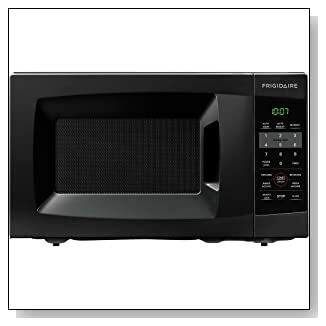 Here is a list of the highest rated and reviewed countertop microwaves available currently. 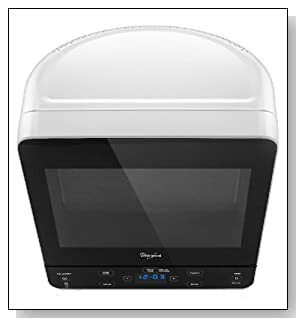 We all love the convenience and ease of use of a good quality microwave that has made heating up food and drinks for all sorts of purposes a complete no brainer thats quick and easy. But because its something that we use so often they do tend to take a lot of punishment. The Panasonic model above and many in their range feature what they are calling inverter technology. What it actually means in practice is that they have improved on the way microwaves normally operate. 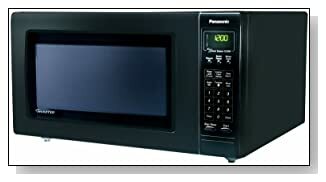 Panasonic seem to have some of the best rated microwaves and a huge range of options available at the moment and they are all bestselling countertop microwaves. You may have noticed that usually when you use your microwave on anything but the high setting, it seems to run and then stop periodically, and you would be right. The problem with heating this in this way is that it doesnt really give a very even heating of the food. What Panasonic have done is come up with a new design for heating which allows the microwave to run continuously but at a lower power, and this gives the food a more even heating so you dont end up with those cold spots hot spots that you can sometimes get with food thats been heated up in microwaves. 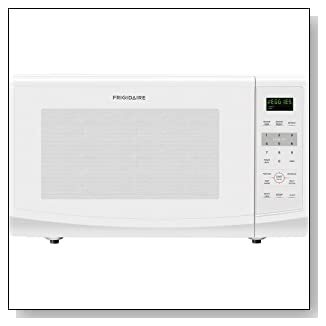 This new design also makes the components much lighter and smaller, so you will find these Panasonic microwaves have much more interior room and are a lot lighter for the same size. Its very easy to pick up a cheap machine but if you want one that will last and be a workhorse in the kitchen for years to come then choose one of these top rated microwaves. They arent all necessarily the cheapest but they will have good build quality and pack in those extra features that come in handy when you need them. 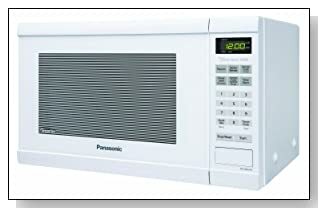 The NN-SN651B is another popular microwave from Panasonics range. It is a 1.2 cubic feet 1200 watt machine that features Panasonics inverter technology as mentioned above that gives a more even cooking. Although microwaves are mainly used in the home for reheating food, the better models have those extra features that actually allow you to cook with them. This can be handy if you dont necessarily want or need to turn the main oven on in your range. Some microwaves have a delayed start so you can get the oven to cook something just at or just before the time you know your going to be home. For example you could get the microwave to cook some jacket potatoes for you that are ready just at the time you put the key in the door, so all you need to do is add the topping and your meal is ready. This is the NN-H965BF which is a large microwave for those that really needed something with a big capacity. With 2.2 cubic feet of internal space and 1250 watts of power this is a machine that is going to be very versatile for the family. 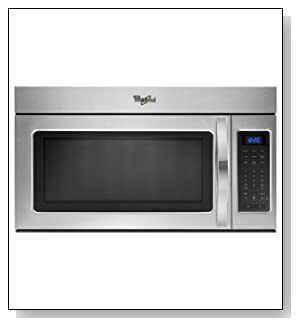 This is the Whirlpool WMC20005YW 16 inch white model. 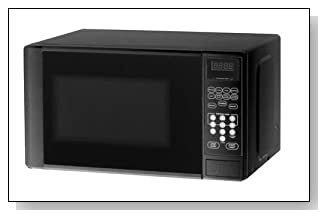 If you are short of counter space or have a small kitchen then this is the best counter microwave for you. This compact unit is designed with a small footprint that is deeper rather than wider so is perfect for those that dont have a huge amount of space to put microwaves in their kitchen. It has a really stylish design that gets lots of comments for its unique look that many mistake for a TV. This unit only has 0.5 cubic feet of internal space which does seem very small, but because of the unique design that allows the turntable to recess into the rear of this small oven there is very little wasted internal space. It is the perfect size to take a plate of food and because of that curve of the rear of the microwave it will actually fit into some corners and spaces that other microwaves that are wider probably would not. This makes it an ideal compact unit for those in very cramped quarters such as in a tight kitchen space, an RV, workshop or a student in a dorm room. Of course always check the measurements against those of your space to be sure. This is the Kenmore 79203 Elite which is a Stainless Steel Countertop model. This is a popular unit with a lot of functionality and excellent build quality that many customers have commented on. Featuring a whole host of one touch cooking options and sensors to help you get your food cooked or defrosted perfectly perfectly this is an easy to use microwave. At 2 cubic feet this big oven also boasts a lot of internal space making cooking for large numbers a breeze. Although we don’t always use all the features on microwaves, they can come in handy when we do need them and this Kenmore model features a whole variety that can help you. It even features a moisture detector that senses when the food is ready and will stop the microwave for you so the food isn’t over done. This 1200 watt oven also features child lock so no nasty surprises if the kids start pushing buttons for fun. For those looking for a compact unit with a small footprint this Frigidaire FFCM0724LB could fit the bill at 0.7 cubic feet. This small microwave features everything you would expect from a good machine in a nice compact size. If you need a handy way to heat up food and drinks but just dont have the space, then this little oven will do a good job. Of course to get a compact microwave there has to be some compromises. Dont expect to be able to load this up with huge meals or massive plates. And at 700 watts its not the most powerful unit out there so may take slightly longer to cook or heat food then a larger unit. But if space is an issue then finding a microwave that will fit into a small space is likely more important than how quick it cooks. Door handle integrated into door to make it easy to open and close without lots of force. If your looking for a large microwave oven then the Frigidaire FFCE2238LW could be just what you need. This 2.2 cubic feet large micro is a powerful and fast 1200 watt machine with a 16 inch turntable. With 10 power levels, 7 sensor cook option and 7 reheat options this model gives you plenty of easy ways to heat or cook your foot as you desire. The best large microwaves will make it easy to prepare food for you family as you have plenty of space to cook even the larger meals so dont have to do multiple cycles with one set of food getting cold while the other is heating. Heres another large oven this time from Panasonic. 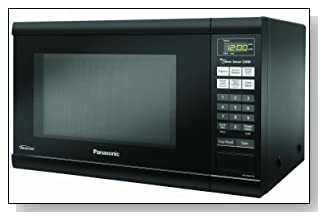 The Panasonic NN-SD962S is another big 2.2 cubic feet microwave. With 1250 watts of power this is a versatile unit which is great for those with a big family to provide for. This is another of the microwaves that features Panasonics inverter techonology, that provides evenly delivered heating and cooking of the foot and controllable power levels, rather than just switching off the magnetron as many do. Additional feature such as sensor defrost, one touch cooking and reheating make this a great model for the home. As with most things you get what you pay for so its probably best not to shop based on price if you want a quality machine. 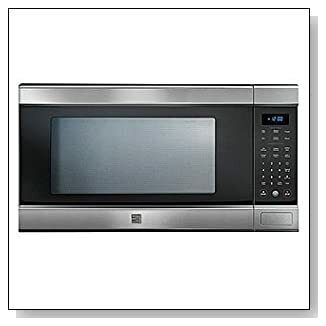 Look for the highest rated microwaves that will give you the most internal space for the least external size, and also includes plenty of automatic presets that makes the job of heating and cooking with microwaves easier. Lots of us have had microwaves in our homes for many years but most of us just throw the food in push the button and hope for the best. So here are a few tips to help you make your food that you heat up that bit more successful and tasty. Follow the instructions on the packaging. The producer of your food has will have tested it to see what settings give the best results so there is no point trying to be cleverer than they are. If your model doesn’t feature a rotating turntable, ensure that you pause the cooking a couple of times and turn the food. Also give it a stir in the container. These will help to distribute the heat evenly which will make it cook and taste better. Be careful when reheating food with large bones in it as they will tend to absorb a lot of the heat. Remove them if you can or its best to ensure that everything gets heated through and careful with those bones afterwards as they will get hot in your microwave oven. This entry was posted in Ovens and tagged best countertop microwave 2016, best countertop microwave ovens to buy, best countertop microwaves 2015, best rated countertop microwaves, best small microwave ovens on the market, countertop microwave reviews 2016, microwave oven reviews 2016, top 10 microwaves 2016, top rated microwave oven 2016, top ten rated countertop microwaves on February 4, 2013 by Jeff. This website is a participant in the Amazon Services LLC Associates Program, an affiliate advertising program designed to provide a means for sites to earn advertising fees by advertising and linking to Amazon properties including, but not limited to, amazon.com, endless.com, myhabit.com, smallparts.com, or amazonwireless.com.